The Amazon region has many sources of fruits, especially native ones not yet explored, but which have some potential for use, as is the case with certain palms. In recent years, the search for foods that are good sources of natural antioxidants has been driving studies to evaluate compounds present in plant species that could be related to antioxidant activity. 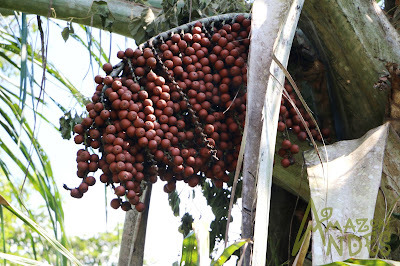 The Amazon region hosts numerous native fruits that might fill in this gap and have the potential to be explored as functional foods, among which are some Arecaceae species such as bacaba (Oenocarpus bacaba), buriti (Mauritia flexuosa), inajá (Attalea maripa), pupunha (Bactris gasipaes), and tucumã (Astrocaryum vulgare). Throughout many parts of the Amazon basin, fruit from the palm Mauritia flexuosa L.f. is harvested for subsistence and commercial purposes. Known as aguaje in the Peruvian Amazon, the commercial extraction of fruit from this dioecious palm provides an important source of income for rural communities as well as urban families living in and near the city of Iquitos. The fruit is consumed raw or processed into a variety of products (e.g. beverages, ice cream, ice pops, etc.)  and recent estimates suggest that residents of Iquitos consume approximately 148.8 metric tons of aguaje fruit per month, the vast majority of which is harvested by the felling and killing of adult female trees in the forest. According to the Maijuna (people from the amazon)there are three different varieties of M. flexuosa ,are found growing near the Maijuna lands and they are classified based on the color of their fruit pulp: red aguaje, yellow aguaje and white aguaje. Platelets play an essential role in the pathogenesis of cardiovascular diseases (CVD). In this way, the antiplatelet therapy has been used for a long time in an effort to prevent CVD. The burití, moriche, canangucha, mirití, or aguaje (Mauritia flexuosa) is a species of palm belonging to the Arecaceae family. It is one of the most important of tropical America, found in Peru, Venezuela, Brazil, Colombia, Bolivia, and Guyana. 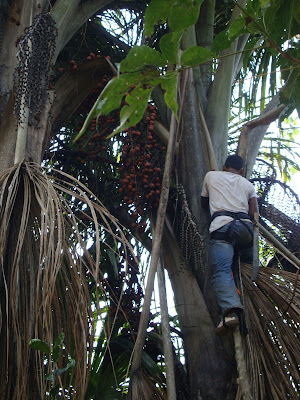 Fruit from the palm Mauritia flexuosa is harvested for subsistence and commercial purposes. Oil extracted from fruits of Mauritia flexuosa is used in cooking and is rich in monounsaturated fatty acids and natural antioxidants. Fruit from the palm Mauritia flexuosa for its high nutritional value (fat 38%, fiber 30%, carbohydrate 28%, and protein 5%) is a fundamental part of the human diet. Its fruit also contains vitamin A, potassium, calcium, iron, magnesium, and the highest carotenoid contents. In Venezuela indigenous people use this fruit as bread, and in Brazil and Ecuador during times of flooding it is the biggest source of food. Also, Mauritia flexuosa oil has found applications in the cosmetic industry due to its emollient properties and can be used as an adjuvant in sun protection. Yet, the protective effect of Mauritia flexuosa on platelet activation and thrombosis formation remains to be fully elucidated. The present study aimed to investigate the antiplatelet and antithrombotic activities of oil extract from peel of fruits of Mauritia flexuosa.